July 29, 2014: A Red Letter/Red Blazer Day! On July 29, 1974 eleven women, three bishops and the Holy Spirit showed up at the Church of the Advocate in Philadelphia -- and the sound heard round the church was either the "end of the world as we know it" or "the arc of the moral universe bending toward justice" -- depending on your point of view. 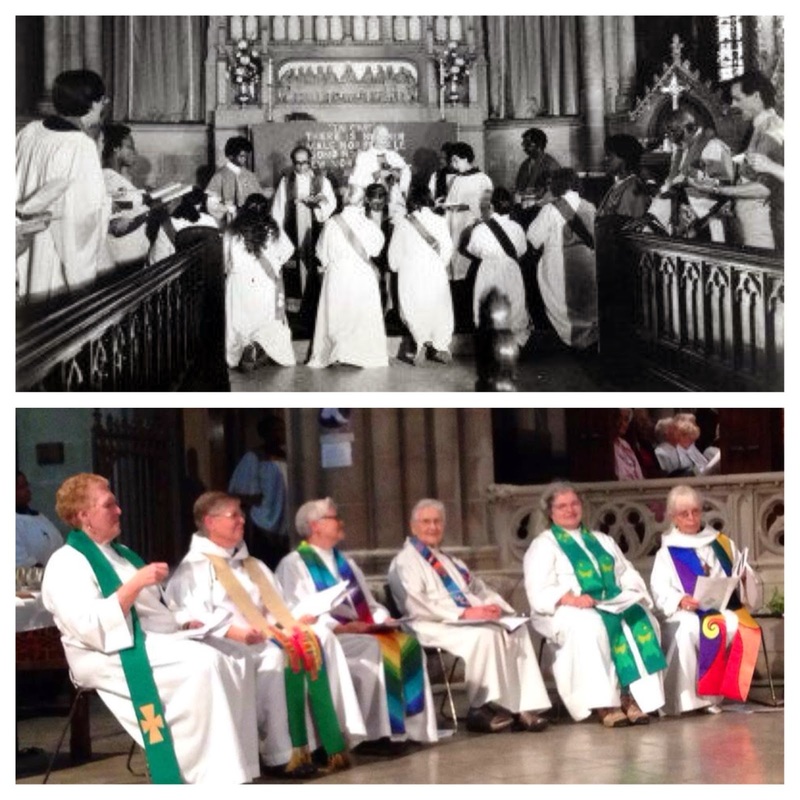 Celebrations, observances and reflections have abounded over the last days and weeks as we've approached this important anniversary in the life of the Episcopal Church -- the first ordinations of women as priests. In my parish, we had a Women's Ordination History Project -- featuring the stories of women who were either ordained from or have served at All Saints over the years. In Philadelphia on Saturday, there was a day long celebration, including a symposium and festival Eucharist. 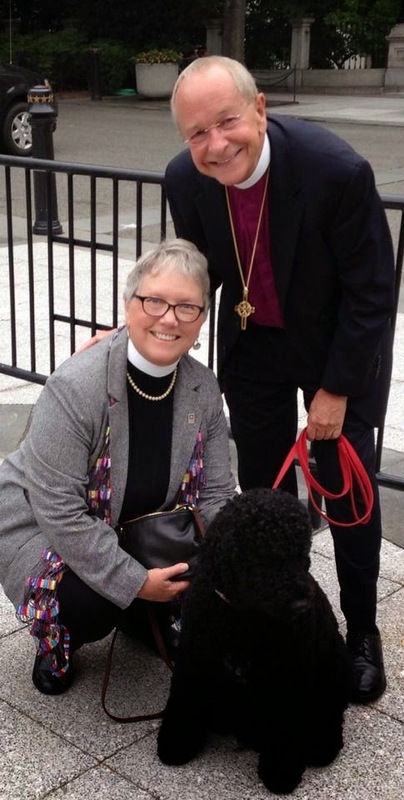 Episcopal News Service provided extensive coverage ... including a video of Presiding Bishop Katharine Jefferts Schori's sermon ... along with a great historical time line, putting the events in context. I preached on Sunday a sermon entitled "A Woman's Place Is ... ?" And Diana Butler Bass posted this wonderful reflection by Bishop Daniel Corrigan, one of the bishops who participated in the service. She writes "These are his words, from 1975, on what it means to be part of a church in "a tradition of revolution." I was fortunate to know Daniel Corrigan in the final years of his life, and consider his vision of the "Great Coming Church" one that I cherish and try to humbly continue in my own work." During the month of July 1974 it came over me that this kind of decision had been demanded of me over and over again during fifty years of service as a minister in the Church of God. This kind of decision! What kind of decision? We emerge from a tradition of revolution. We are presently trying to muster up enough independence to celebrate this gift from our fathers which is well nigh spent. We live within a conform-or-perish society. 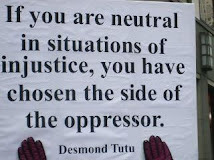 We are constantly having to choose between the teachings of Jesus and the presuppositions of this society which are deeply ingrained in most of us and take precedence for us over any honest response to the obvious demands of his words and life. It is even more disturbing when we become aware that the church herself is structured like the rest of society. This has been true by and large since Constantine. 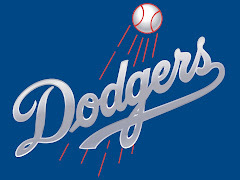 We have tended to point with pride to this identity. And in all times and all places men and women have made decisions which they thought conformed to his spirit and will in the face of powerful societies which demanded conformity or death. The vows we have taken, do define our being, shape our thinking, and motivate our actions. I realize more and more that I have been formed by my life in the body of Christ. Serious conflicts between what seemed my duty as a Christian and the demands of citizenship have emerged many times. . .
What kind of decisions are demanded by life? Those who have been involved with institutions in the twentieth century will know how frozen these become and how unable to respond to the most obvious appeals for the services they were created to render, e.g., schools, hospitals, social services and courts of justice. Their capacity to create mechanisms further to slow them down is frightening. During our years we have had to make many decisions if we were to maintain a living relationship to the word. And our response to the hard choices which face us now has been formed by all the previous efforts to keep the word and the action together. Even now the four horsemen of the apocalypse fill the time and space that remains. We are forced to consider slavery, war, disease, famine, political and economic injustice, genocide, racism and the subjugation of women with whatever light we may have received from our life in Christ. We now must live with utterly new images of the Universe, the Earth on which we live; a totally new understanding of our own inner life and the diverse lives and minds of the people of the earth. O Christ the way, the truth and the life, what is the unique light you would lume within me? I know. Wow! And then this morning, colleague Rachel Nyback reminded me of a piece I wrote a few years ago about women, the church and red blazers. So I'm going to close this blog with that ... go find my red blazer ... and go to work! Happy Anniversary, Church! [December 2007] As I was printing out "stuff" yesterday for our pre-convention meeting this morning with our parish delegates I realized this will be my 20th Annual Meeting of the Diocese of Los Angeles -- my first was back in 1987 and my, my, my ... what a difference a couple of decades make! It was back in the day when we didn't dare run more than one woman in any of the elections. I remember a literal coin toss between two women clergy one year about which ONE would run for General Convention Deputy because the diocese would never send TWO women! I remember when I was in the ordination process being told it wasn't a good idea to wear my red blazer (and I LOVED my red blazer!) because red was a "power color" and I'd better pack it away until after I got safely ordained. And I remember if we sang a hymn that wasn't in the hymnal or -- God forbid -- used a liturgy with expansive language -- there would be a queue at the microphone afterwards with dour clergymen asking for a "point of personal privilege" to express their outrage. So yep, the church has changed in the 20 years I've been a delegate to the Annual Meeting of the Diocese of Los Angeles -- and my response to that versicle is "Thanks be to God!" There may be those who yearn for those halcyon days of yesteryear when women delegates were named "Mrs. Husband" and we knew better than to run more than one of us in any given election. But the rest of us are celebrating the steps forward this church has taken to overcome its sexism and are going to "keep on keepin' on" until we are fully the inclusive Body of Christ we are called to be. 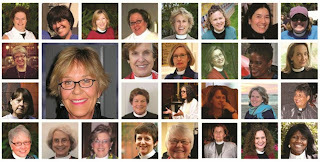 I've spent a big chunk of today getting vicarious pleasure from pictures and posts from friends and colleagues attending the 40th Anniversary celebration of the ordination of the first women as priests in the Episcopal Church at the Church of the Advocate in Philadelphia. Preaching on it tomorrow. Working on a blog for the actual anniversary date ... Tuesday (July 29th) ... but for the moment I wanted to share these three quotes from some men making the case that the ordination of women is a gift to the whole church ... not just to the women ordained or the women in the pews. "May none of us take for granted the personal sacrifices made by those first eleven women priests and their allies who stood in brave solidarity with them that day in Philadelphia. They received the most vicious bile we human beings can fling and yet they pressed on knowing they had to obey a Greater Authority than the institutional church. It was a HUGE and most unexpected honor to be invited to be the guest of the White House for the signing of President Obama's Executive Order on LGBT Workplace Discrimination. You can read about that part in the blog I wrote last week. You know how sometimes you think something will be totally super cool to do and then when you do it you find out it really wasn't all that special? So you can see pictures I posted from the day here. You can read my Huffington Post piece here. And you can read my quote in Religion Dispatches here. And finally -- thanks to the super efficient White House staff -- you can read the President's remarks (all 8 minutes of them!) below. The White House ... OMG!!! So it was a regularly scheduled Friday day off. I had laundry going, a shopping list written and vacuuming in progress. Sat down to check the news and look at email. Opened email with Subject line: Signing Ceremony with President Obama on Monday, July 21. Read email and determine it is [a] not a fundraising pitch but [b] an ACTUAL invitation to the ACTUAL White House for the ACTUAL signing ceremony for the LGBT Executive Order on employment non-discrimination. OMG! 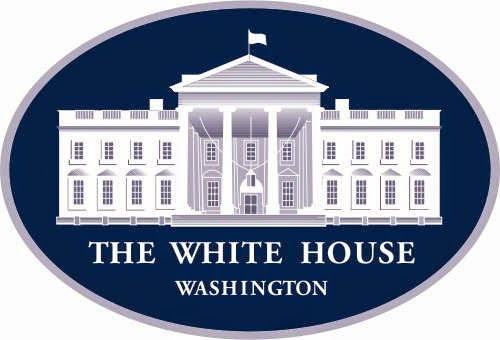 I just got invited to go to the White House for the signing of the LGBT Executive Order on Monday. No way I can actually go, but OMG! And within minutes, the texts started to ping in. And before I knew it I had colleagues covering my Sunday responsibilities, a plane ticket, a place to stay in DC ... and my rector saying "Of course you're going -- it's a no-brainer!" And 24 hours later I'm mostly packed, with a boarding pass printed out and ready to head to LAX tomorrow morning. And I still really can't believe it. Will be joining a great cloud of witness, including Bishop Gene Robinson, Dean Gary Hall, the Reverend Dr. Cameron Partridge, Integrity E.D. Vivian Taylor, Harry Knox and MCC's Nancy Wilson. Stay tuned. Film -- as they say -- at eleven!! On July 29, 1974 eleven deacons — who came to be known as the “Philadelphia Eleven” — and four bishops gathered in front of a standing-room-only-congregation at the Church of the Advocate in Philadelphia and made history with the ordination of the first women priests in the Episcopal Church. Forty years later it might be hard to imagine — in a parish like All Saints, Pasadena with a long history of women clergy on staff; in the Diocese of Los Angeles with two women bishops; in an Episcopal Church with a woman Presiding Bishop — what a radical act that was. But it was. 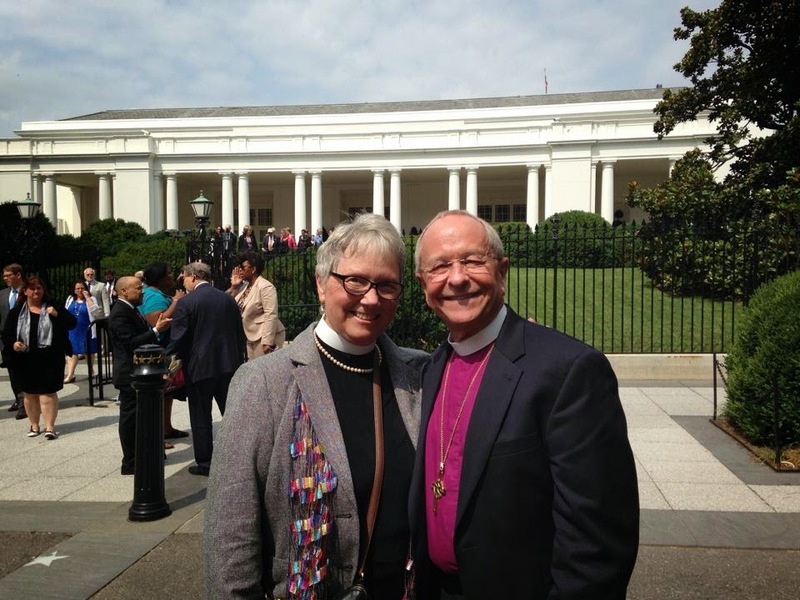 It was the work of the National Coalition for Women’s Ordination to the Priesthood and Episcopacy — organizing and mobilizing all around the country — that helped make that landmark vote possible. That work was made possible, in part, by the vision and commitment to equality of the leadership of All Saints Church. The Vestry agreed that rector George Regas could work half-time on Coalition work for two years — another example of the DNA of justice making that is part of All Saints’ history. Throughout the month of July there will be celebrations and observances around the Episcopal Church marking the 40th Anniversary of those first ordinations in Philadelphia. 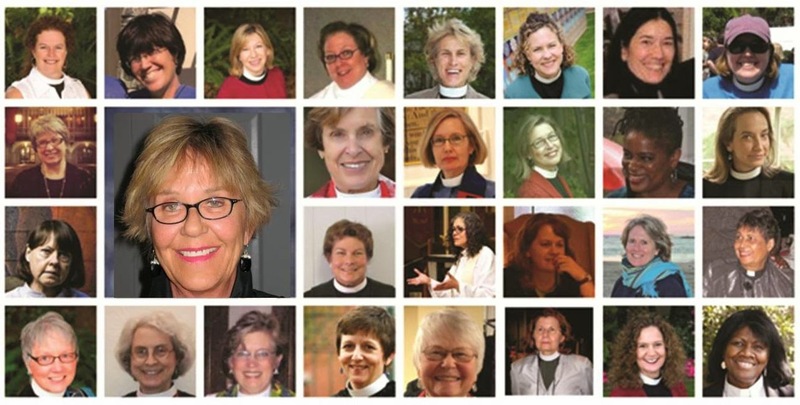 Here at All Saints Church we will participate with a series of reflections from women clergy (many pictured here) who have served at, or were ordained from, All Saints, along with stories from some of the prophetic leaders — lay and ordained — who helped make history happen 40 years ago. Watch for them in the weekly newsletter as well as on our website, blog and Facebook page. On July 27 — the Sunday closest to the anniversary of the Philadelphia Eleven — we will observe the Feast of Mary of Magdalene as we celebrate the gifts women — lay and ordained — bring to the work and witness of the Gospel. Historian Fredrica Harris Thompsett famously said, “the reason we study our past is to get a running start on our future.” My prayer is that this study of our past in the struggle for women’s ordination will equip us to continue to claim our history and empower us for the struggles in our generation as we continue in the work of turning the human race into the human family. 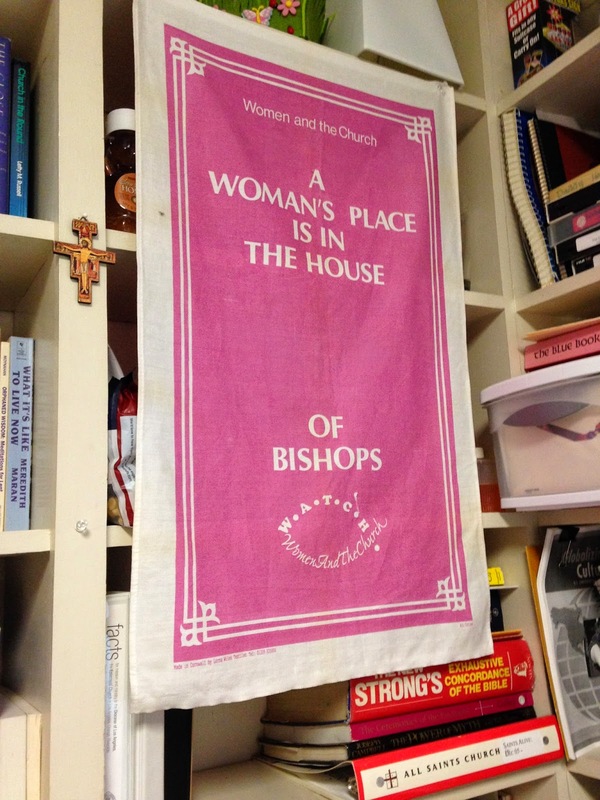 Can't resist sharing this photo of the tea towel that has hung in my various offices since Fran Bartlett (of St. Peter's San Pedro and Blessed Memory) brought it to me from Lambeth 1998. It reminds me of the long struggle of generation upon generation of women for equality in a church committed to the ideal that in Christ there is "no Jew nor Gentile, no slave or free, no male or female" ... until it comes to church leadership and then Galatians gets thrown out with the bath water and patriarchy trumps. And today the Church of England voted to allow the appointment of women as bishops. Yes, this is but one step. Yes, it's a flawed resolution. Yes, the War on Women is real and there are miles to go before we rest. But ... And ... this is a moment to pause -- to rejoice and be glad in -- and to give thanks to ALL who have worked, prayed, compromised, strategized and organized to make it happen. Including Fran Bartlett of blessed memory. And then we'll get back to work. Honest! Christians worship a child who fled from violence in his home country. "As politicians focus on midterm elections rather than on children in crisis, it’s worth remembering: Christians worship a child who fled from violence in his home country." Gay Jennings being brilliant about the migrant children at the border crisis. Read it all here. Yes, I've been out of the "blog loop" for awhile. Been re-entering my "regularly scheduled life" this week -- including radio interview on religious exemptions for hiring LGBT folk; organizing interfaith prayer day for children at risk -- in Israel/Palestine, on our borders and in our streets; and doing the regular pastoral stuff of life at All Saints in July! Keeping up on the move toward General Convention 2015 -- which by this time next year will be history. In that vein, here's a little "breaking news" from the General Convention Office -- in a letter from the Presiding Officers -- Katharine Jefferts Schori and Gay Clark Jennings.